Participation in the biodiversity information management network is built through Biodiversity Forums, international and Africa region engagement, training and citizen science initiatives. Biodiversity information is stored and used by a range of institutions, nationally and internationally. SANBI is committed to growing an inspired and co-ordinated network towards improving the quality and use of biodiversity information. 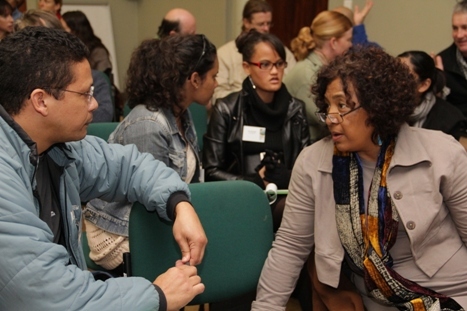 SANBI hosts a number of forums, including the Biodiversity Information Management Forum and the Biodiversity Planning Forum, both of which relate directly to the management and use of biodiversity information. International and Africa region participation has been built primarily through the South African Biodiversity Information Facility (SABIF), a node of the Global Biodiversity Information Facility (GBIF). This is a foundation for further efforts to build capacity in biodiversity information management in Africa. 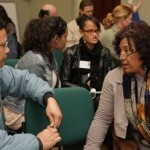 Ongoing workplace-based training contributes to building capacity through the network. SANBI has a formal partnership with the University of the Western Cape aimed at developing post-graduate biodiversity informatics skills. Citizen science has the potential to democratize biodiversity information and to involve individuals from all walks of life in science. SANBI launched iSpot, the southern Africa citizen science portal, in June 2012 and has been involved in a number of virtual museum projects.